Magic Carpet & Furniture Cleaning has a unique cleaning process that is sought out by Manufactured Home customers due to our low moisture and Dri Foam. Most manufactured homes have particle board flooring beneath the carpet which can be damaged by too much water or moisture. 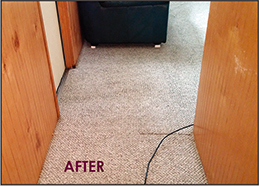 Our Low Moisture Dri Foam Process Guarantees That Your Flooring Beneath The Carpet Will Not Be Damaged. 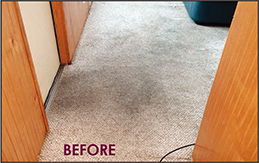 This process enables your carpet to dry in as little as 2 to 3 hours.